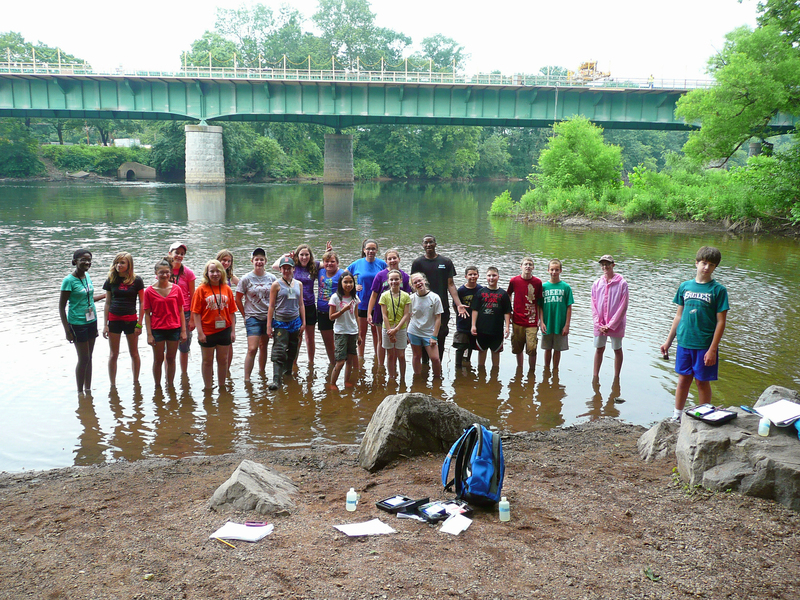 The following is a recent press release from Montgomery County Community College about an innovative summer science camp for Pottstown-area middle school students. Note that Pottstown resident, Anna Johnson, of Arkema Inc., a global chemical company with a research center in King of Prussia, also participated. Anna, who is a leader of Citizens for Pottstown’s Revitalization and on the board of MOSAIC Community Land Trust, spearheaded the first-ever “Science in the Park” this past June at the Chestnut Street Park in Pottstown. Kudos to Anna, MCCC and TD Bank for exposing area young people to the excitement and possibilities in the study of science and technology at a more sophisticated level than they would typically get to experience. 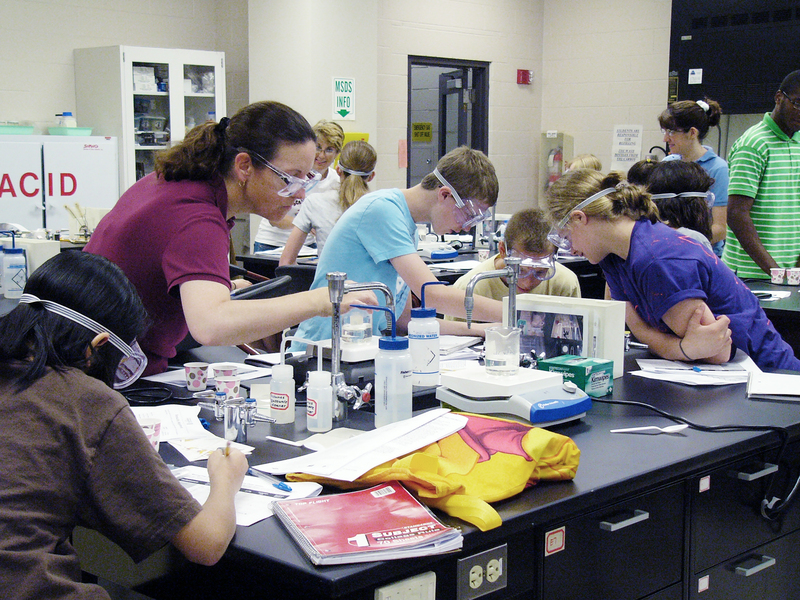 July 25, 2011, Pottstown, Pa.—Twenty-one middle school students from Pottstown and the surrounding areas immersed themselves in Montgomery County Community College’s laboratory classrooms, as part of a one-week camp, “How Scientists View the Environment,” during June 27-July 1 at the West Campus in Pottstown. The College created this Green STEM—Science, Technology, Engineering and Math—program as the result of a $10,000 grant received earlier this year from the TD Charitable Foundation, the charitable giving arm of TD Bank. The program encourages youth to explore this exciting, growing career field. “To understand what it is like to be a scientist, you have to emulate the environment in which a scientist works from start to end, which is what we did during this week,” said Dr. Davi Gonzales, Biology Associate Professor at the College. During the first day, Dr. Gonzales introduced the concepts of scientific method and experimental design. Through simple experiments with dice, students learned to form hypotheses, develop experimental designs to test their hypotheses and analyze their results. Using Excel spreadsheets, the students learned about normal distribution, mean, standard deviation, 95 percent confidence interval and p-value. The students used these key concepts for various activities throughout the week. water filtration tests. 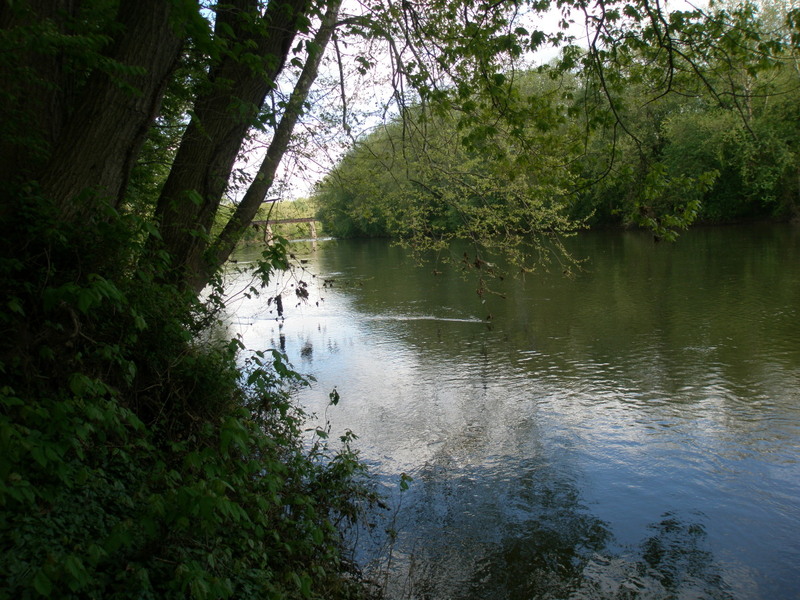 They also studied different species of birds in their natural habitats in the Schuylkill River floodplain in Pottstown’s Riverfront Park and practiced population sampling techniques. At the conclusion of the program, the students analyzed the data from their experiments and displayed and presented their results using graphs and tables and Power Point programs. The week-long program was a collaborative effort of several MCCC instructors and staff, including Biology Associate Professor Dr. Davi Gonzales, Coordinator Ms. Cheryl Taylor-Mearhoff, Geology Professor Rob Kuhlman, Microbiology Instructor Dr. James Bretz, Assistant Chemistry Professor Dr. Janet Graden, Biology Instructor David Whalen, Math Assistant Professor Mark McFadden, Assistant Math Professor Barbara Lontz and Assistant Mathematics Professor Stephanie Isaac. Additionally, Dana Swan and Anna Johnson of Arkema Inc., a global chemical company with a research center in King of Prussia, participated by sharing their knowledge and helping students in the lab. MCCC students Timothy Solomon and Barbara Jack also assisted in the classroom and out in the field. The TD Charitable Foundation is the charitable giving arm of TD Bank N.A., which operates as TD Bank, America’s Most Convenient Bank®, is one of the 10 largest commercial banking organizations in the United States. The Foundation’s mission is to serve the individuals, families and businesses in all the communities where TD Bank operates, having made over $68.4 million in charitable donations since its inception in 2002. The efforts of the Foundation are coordinated locally through TD Bank’s community relations departments and are focused on the areas of affordable housing, education and financial literacy, and the environment. More information on the TD Charitable Foundation, including an online grant application, is available at http://www.TDBank.com. The Montgomery County Community College Foundation is the designated tax-exempt, charitable arm of the College. The Foundation’s purpose is to raise funds to assist the College in developing programs, facilities, and services to enhance and enrich student life and to maintain a tradition of educational excellence. For more information, visit http://www.mc3.edu/giving/about/default.aspx. 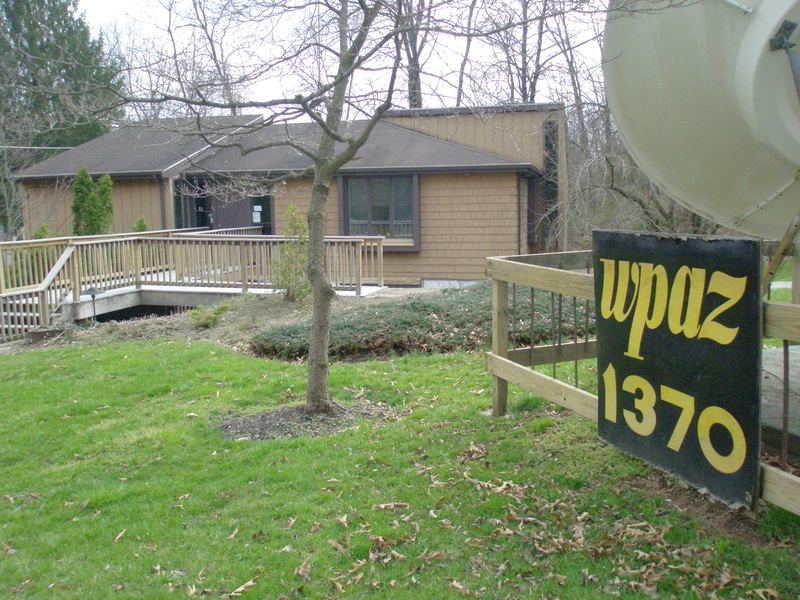 Check out this great feature about WPAZ 1370 AM in today’s Pottstown Patch. If you or your organization have an upcoming event, or simply want to get the word out to the community about what you do, get in touch with Dave Devlin or Ross Landy. They want to hear from you!! Call the station at 610-326-4000 or email wpaz@wpazradio.com, or check them out at www.facebook.com/WPAZRADIO or www.wpazradio.com. 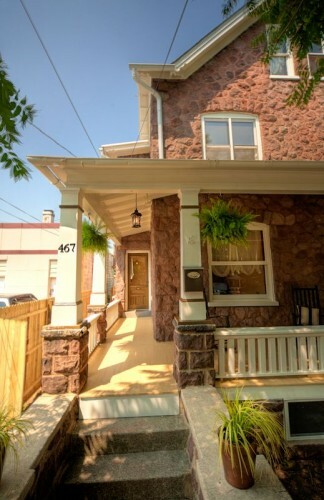 I attended LointerHOME’s open house at 467 Farmington Avenue last Thursday and figured I’d blog about it this week… Then I got word this past Tuesday night that the home was already under contract for above the asking price! Looks like LointerHOME’s reputation is growing by leaps and bounds, as well it should. I thought I’d feature this project because it’s a great example of the opportunities in Pottstown for sound real estate investment in homeownership for developers who do quality work. LointerHOME specializes in the renovation of distressed and foreclosed homes. They work in Miami, Los Angeles, West Chester and Pottstown, with their previous Pottstown project being a foreclosed Edwardian townhome on King Street. Their next project will take them to 426 King Street. The Farmington Avenue home and 426 King were acquired from the Borough after the Borough came into possession via free-and-clear tax sales. The home at 467 Farmington was marketed by Lori Vanderbilt of Coldwell Banker Hearthside in Collegeville. The gorgeous photos at http://467farmington.epropertysites.com/ were taken by Betsy Barron, a fine art, freelance photographer from Chester County. Guitarist Russ Ferrara will appear at Juan Carlos Fine Mexican Cuisine this Thursday with guests, Jan Seiden and Nelson Rios, in an evening of original music for Native American Flutes, Guitar and Percussion. They will perform for diners from 6:30-9 pm. 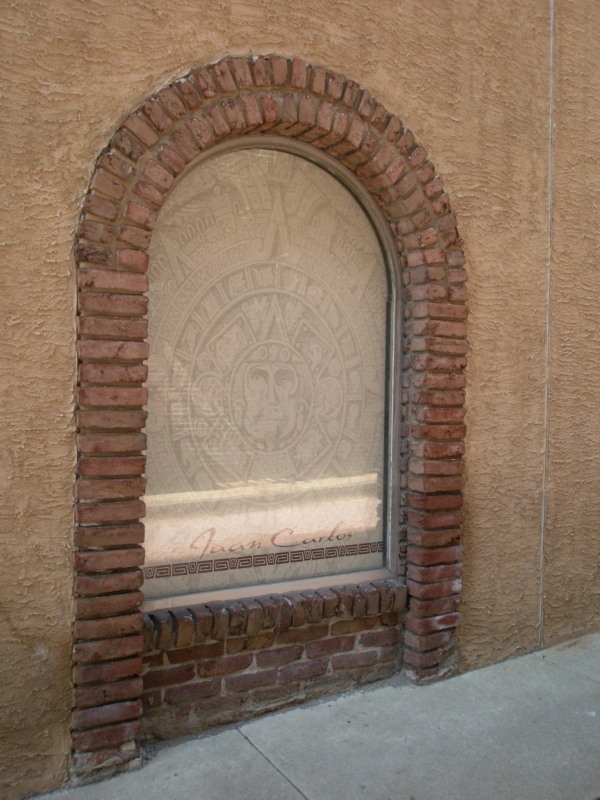 Juan Carlos is located at 235 East High Street in downtown Pottstown; their number is 484-624-4931. Juan Carlos is a BYOB restaurant, drink set-ups are available, and reservations are requested. 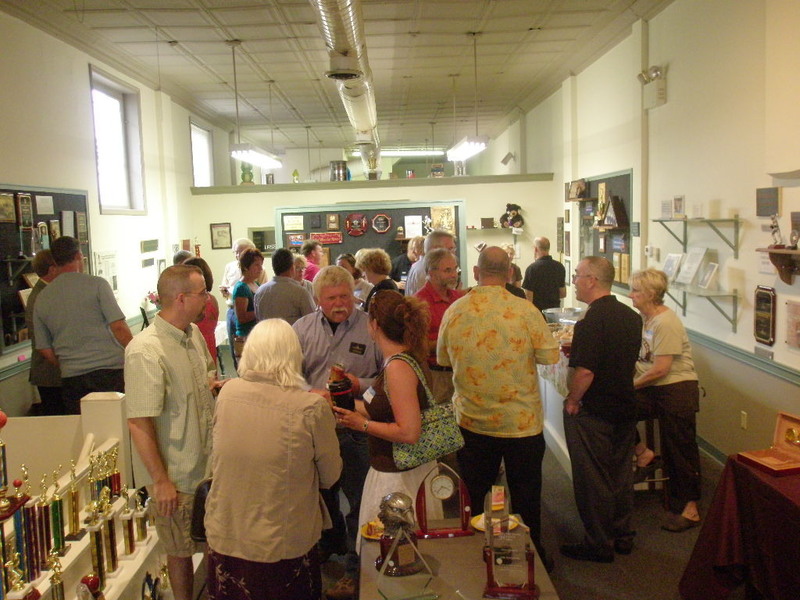 This past Friday about 35 guests scarfed down sandwiches and an amazing salsa by Grumpy’s as they beat the heat in the air-conditioned comfort of LASERWORX, Custom Laser Engravers, at 236 E. High Street for another Postively!Pottstown Happy Hour. We were welcomed by the Hoffmans: Steve, his wife Donna and son Jim. Steve and Jim are in business together and can provide you or your company with precision laser-engraving services on such surfaces as Waterford crystal, acrylics, metals, plastics, tile, granite, slate, wood, Corian and more. They carry dozens of options for attractive awards, plaques, signs, watches, medals, pendants, trophies, ribbons and gifts ready to be customized. If you’ve never been in LASERWORX, you might also want to check it out for its architectural significance. 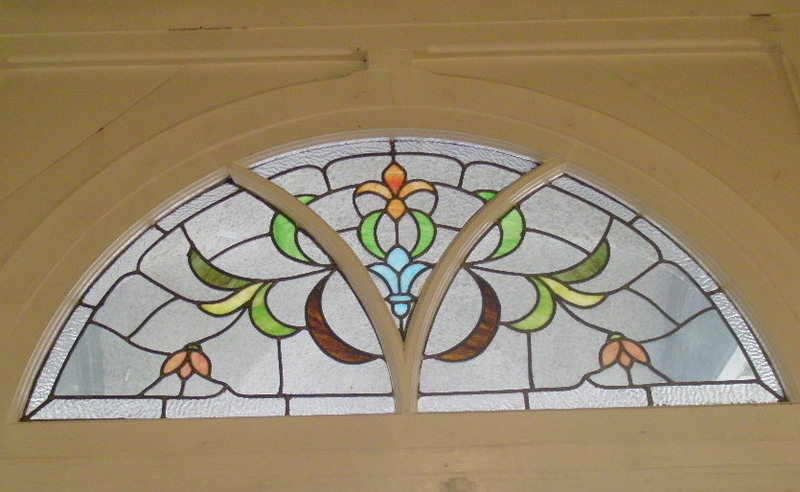 It’s got beautiful, original stained glass in the entryway and on the doors and a tin ceiling inside. The name “Betty Lee” in mosaic tile in the entryway is a reminder of the former Betty Lee Women’s Clothing store at that location. August – no Happy Hour – summer vacation! The Pottstown Cluster of Religious Communities is holding its Grand Opening and Ribbon Cutting Ceremony today from 3-5 pm at their newly renovated building at 57 N. Franklin Street (the corner of Franklin and King Streets, in the former American Legion building.) This milestone is the culmination of a $1 million capital campaign. Come check them out today at their new location, visit their website, and perhaps learn how you can help, too. Another Positively!Pottstown Happy Hour is taking place this Friday, July 15th from 5-7 pm at LASERWORX, 236 E. High Street in downtown Pottstown. They’re located at the corner of High and Penn Streets. LASERWORX is a custom laser engraving company; they can help you with awards and promotional items from trophies and plaques to signs, tags, labels, unique gifts and wedding and party favors. Thanks to Steve Hoffman for hosting! Everyone is welcome to the Happy Hours. They’re totally casual and give folks a chance to visit a business, restaurant or nonprofit organization in town and to meet others from the community. There’s a $5 cover charge, which always gets you some delicious appetizers and complimentary wine, beer and soda. We’ve been holding the Happy Hours once a month since October of 2010. We’ll take off the month of August for summer vacations and then start up again in September, when SCORE will host on September 16th in honor of their 20th anniversary. At this Friday’s Happy Hour, Grumpy’s will be providing food — always yummy! To RSVP, send an email to positivelypottstown@gmail.com. See you at LASERWORX!